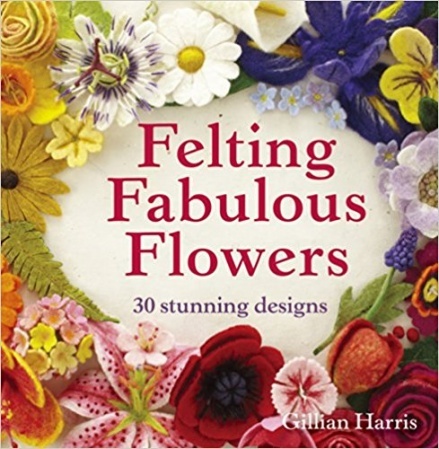 New book from felting expert Gillian Harris Make realistic, beautiful flowers from wool With step-by-step instructions and projects for all levels of ability What better way to celebrate and appreciate the natural beauty of flowers than to recreate it into glorious felt that can be adorned, worn or used as decorative embellishments? If you prefer something more dramatic, there are vibrant pink cherry blossoms, fuchsia, carnations, rich purple irises, pansies and passionflowers. With little more than a selection of wholesome Merino wooltops, you ll soon become adept at fashioning realistic looking petals resplendent with delicate details, as well as crafting stems, seedpods and leaves to give your felt flowers a fantastic finishing touch. Felting Fabulous Flowers contains all the simple tips, tricks and easy techniques you need to create impressive, vibrantly coloured decorations to be proud of in just a matter of hours.